How Many Churches Will Leave Boy Scouts? This week Southern Baptists meeting in Houston overwhelmingly voted to oppose the Boy Scout’s decision to admit gay members, declaring that homosexual conduct is contrary to a Scout’s oath to do his duty to God. However, the resolution allows member churches to individually decide whether to stop sponsoring Scout troops. There are 4,000 Baptist churches that sponsor 108,000 troops. Others argued that the denomination should embrace gay members of scouting and seek to guide them toward a more Christian life. One pastor stated that a young boy who claims to be gay is most likely the victim of abuse or otherwise needs guidance, and that the church or Scouts should not abandon them. “If boys truly understand what their duty to God entails and lived it, they would grow safely into manhood… It is this belief in duty to God that has forged the iron-strong connection with Boy Scouts of America” and Mormons. On the other hand, the U.S. Catholic Church’s top liaison to the Boy Scouts says the BSA’s new policy welcoming gay Scouts “is not in conflict with Catholic teaching,” and urged local churches sponsoring troops to continue their support. About a tenth of the 2.6 million Boy Scouts are in troops sponsored by Catholic congregations. Some led by Knights of Columbus have announced they will encourage troops to affiliate with their Columbian Squires youth groups. BSA conducted a poll before it voted by a 61% margin to allow gay youth, and estimated that 100,000 to 350,000 troops would leave. That’s a low estimate. Ten years after Canada took this step it lost more than half of its members. But where would they go? John Stemberger, an Eagle Scout who leads the Florida Family Policy Council, is organizing a meeting of denominational leaders and decorated veterans of BSA to create a national alternative to the Boy Scouts this month. He told me, “We will provide some liberty for churches opposed to allowing open and avowed homosexuals” to proselytize among impressionable boys. See www.onmyhonor.net. 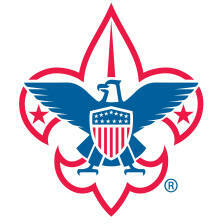 May that alternative to the Boy Scouts emerge and prosper.